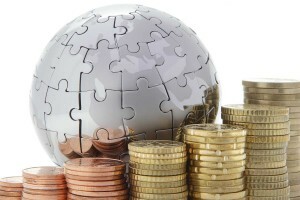 In fact 1% control around 82% of the wealth in the world? But I’m not going into why this is happening in this article – instead I’ve got an interesting infographic and some facts for you. 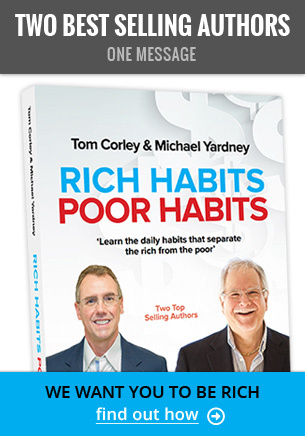 On the other hand if you want to understand why 1% will always control most of the wealth I recorded a popular Podcast with Tom Corley explaining why – you can listen here . And today we’re going to explain why. Recently the demographers at McCrindle created the following infographic analysing the Australian Bureau of Statistics’ wealth and income data by quintiles. 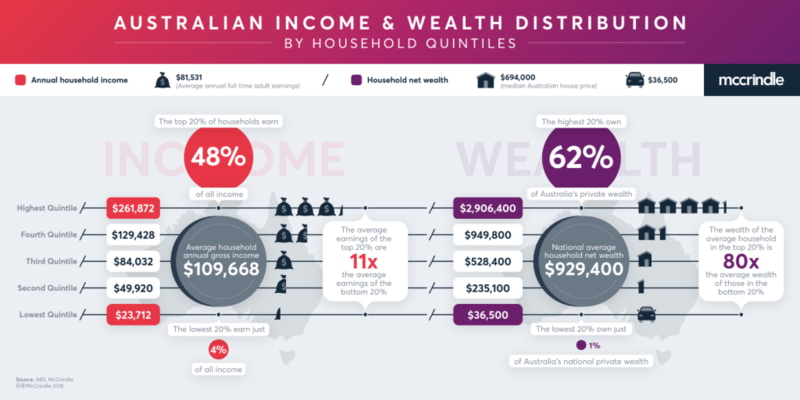 This infographic of annual household income by quintiles (20% categories, each comprising around 2 million of Australia’s 10 million households) shows the spread of total earnings. While the average household earns just under $110,000 per annum, the top 1 in 5 earn more than twice this (exceeding $260,000) and the bottom 1 in 5 take home around one-fifth of the average (a little over $23,000). The bottom fifth of households take home just 4% of all income and the top fifth get almost half (48%). The highest fifth have incomes 12 times the lowest fifth. They earn almost as much as the other 80% of households combined. The wealth of the highest quintile households, on average, is 80 times that of the lowest quintile households. While the average Australian household has a net wealth of $929,400, households in the highest quintile have an average net wealth more than three times this ($2,906,400). Households in the lowest quintile, however, are worth just a fraction of the average (4% of the average wealth, or $36,500). 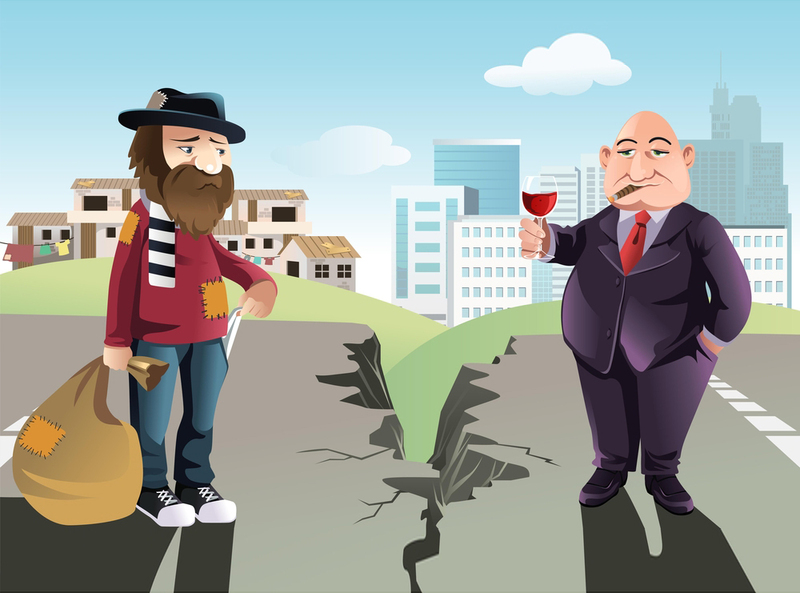 The lowest 20% own just 1% of the national private wealth while the highest 20% own 62% of the national private wealth. While the average Australian household has seen wealth increase by 15% in the last 2 years (from $809,900 to $929,400), the highest fifth of households have experienced an average increase of 16% (an increase of $392,000). Only those in the fourth and fifth quintiles have a net household wealth ($949,800 and $2,906,400 respectively) that exceeds the average house price ($694,000), while the highest quintile households on average have a net worth exceeding 4 average Australian homes.